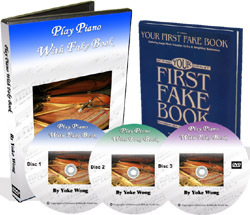 The piano course comes with one 158-page fake book (Your First Fake Book published by Hal Leonard) and three DVDs (60 minutes video lessons each) demonstrating proper fake-book playing tips, tricks and techniques to get you started right away. While the course covers just nine all-time piano classics, you can plug these techniques into any song you want! The downloadable version is available. just a little word just to say thank you again for your improvisation course. I play classical music and it helps because i already have the musical formation but your course is so well explained and so sensitive as well! i keep working on it and follow your advices. To me, the lessons in the fake book of Yoke are very good. 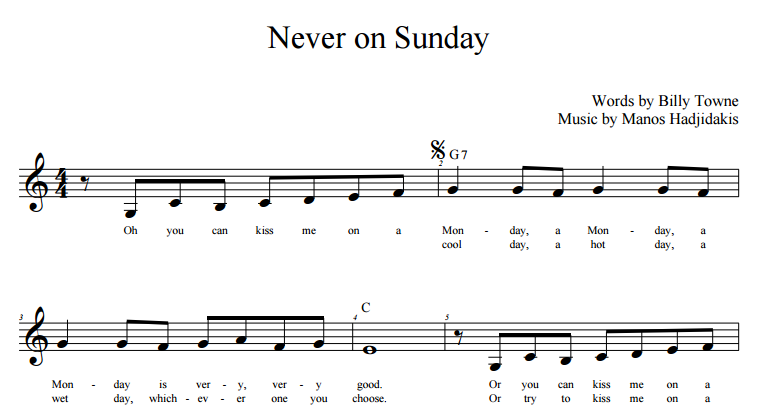 She teaches you from the basic to the advanced levels how to play any songs when you have only the notes of the melody. It’s really a blessing for you to find out a very good, & talented piano instructor like Yoke. She speaks very clear. Her methods are easy to understand. You can save a lot of time, energy, & money by taking home study courses of Yoke. Your courses have freed me from being tied to the score. I am able to ENJOY playing. Thank you, Yoke Wong!